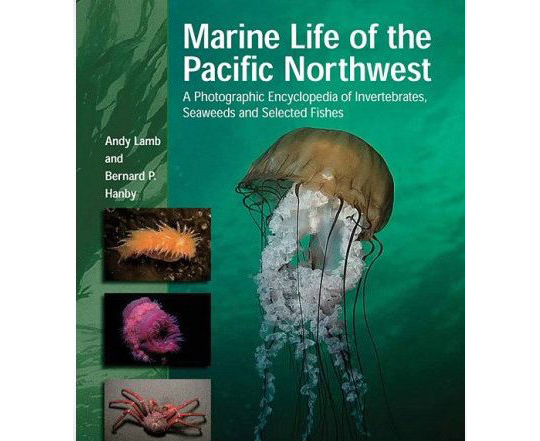 Marine Life of the Pacific Northwest: A Photographic Encyclopedia of Invertebrates, Seaweeds And Selected Fishes [Hardcover] MARINE LIFE OF THE PACIFIC NORTHWEST is the most comprehensive collection of photographs of Pacific Northwest marine life ever published. It is designed to allow the reader to recognize virtually any coastal organism that might be encountered from southern Alaska to southern Oregon-from sea lettuces and feather boa kelp to the leopard ribbon worm, Pacific red octopus, spiny-thigh sea spider, and gutless awning clam. Each species is identified with photographs and includes a description with information on range, habitat, appearance, and behavior. Andy Lamb and Bernard Hanby have spent most of their lifetimes studying and recording Pacific Northwest marine life and have completed over 4,000 scuba dives between them. Some of the species included in this volume have never before been featured in print.